Romelu Lukaku has been tearing up the Premier League once again this season, and his great form has attracted the attention of Real Madrid, according to The Sun. An underperforming Everton side have been seriously helped by the goalscoring prowess of the Belgian, but even then they find themselves struggling in the bottom half of the table. Madrid are apparently planning on making a massive £60m move for the freescoring forward, and even without Everton’s poor form that would most likely prove an offer too good to turn down. The Sun claims talks are already ongoing between Lukaku’s agent and Real Madrid, and scouts have been spotted monitoring the Toffees star on at least five occasions. They go on to suggest that he will be replacing the outgoing Karim Benzema, who Madrid president Florentino Perez is expected to dump at the end of the season. 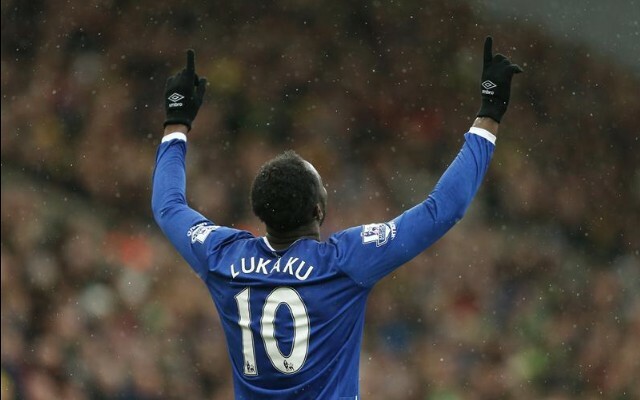 Everton will obviously be keen to hold on to Lukaku, but they may find it hard to turn down a £60m bid – more than double what they paid for him from Chelsea (via The Sun) – especially if Lukaku pushes for the move. That said though, Lukaku has experienced life at a big club, and it was no picnic. He really struggled at Chelsea, despite seemingly proving himself while away on loan. He may be keen not to make the same mistakes again, and might be looking to move up slowly rather than making the switch to one of the biggest clubs in the world. The report also discusses Real Madrid’s potential transfer ban, which would obviously impact their ability to bring Lukaku to La Liga, but the Spanish giants are thought to be confident they will avoid punishment.